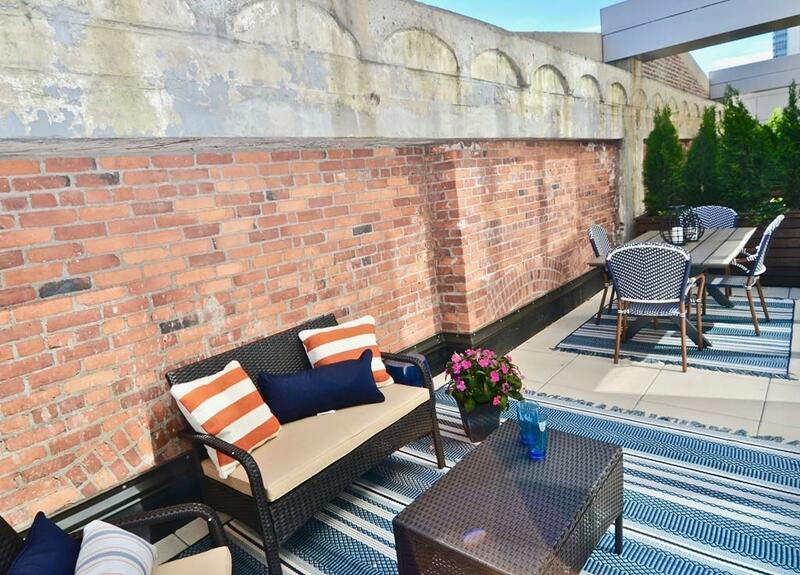 Imagine your own back yard 7 stories above Boston! That's what the private outdoor oasis on this new construction 2BR feels like--dine al fresco, enjoy an afternoon nap in the summer sun, grow an herb garden, and entertain in style. If you've been looking for a truly special city home with character details and tons of charm, look no further. Special bonus: patio furniture included in sale. Forecaster 121 is a new construction condominium building located in the Bulfinch Triangle at the intersection of the North End, Beacon Hill, Faneuil Hall, and just steps to the new Boston Public Market. The building features 24/7 concierge, fitness studio, and the Bulfinch Room for meetings and gatherings. Schedule your private tour today! Listing courtesy of Tina Brzezenski of Psr Real Estate. Disclosures Buyer Agents Must Accompany Buyer On All Visits. Broker Related To The Developer. Listing provided courtesy of Tina Brzezenski of Psr Real Estate.